Support local artists by giving your loved ones fashion-forward band merch as gifts this holiday. With CDs pretty much a thing of the past, most up-and-coming bands give their music away free online in order to attract a following. Thus, much of their revenue now must come from other ventures — which often include touring and selling merchandise. As a result, some enterprising local musicians have put their design skills to use and have created covetable apparel lines that are a far cry from your typical Hot Topic band shirt. We rounded up the most stylish ways to support East Bay musicians this holiday season — whether your wardrobe is athletic, vintage-inspired, or too eclectic to classify. Best of all, most of these styles are unisex, so music lovers of any gender will be stoked to get them in their stockings. Oakland native Marty Aranaydo, aka DJ Willie Maze, is a DJ, promoter, activist, designer, and graffiti artist who's been involved in many of the city's creative enclaves for nearly two decades. In the 1990s, he joined the well-known local graffiti crew TDK. As a member of TDK, he spent many years painting alongside the late artist Mike "Dream" Francisco, whose life and work the community celebrates every year during the music and art mini-festival Dream Day, which Aranaydo helps throw. Nowadays, Aranaydo frequently travels around the country as an organizer of the indigenous peoples' climate justice movement, planning demonstrations and educating youth about how climate change affects the world's most vulnerable communities. In addition, he puts on several of Oakland's liveliest dance parties, including UltraWave, which takes place at Somar (1727 Telegraph Ave., Oakland) every Thursday, and NVR OVR on the fourth Saturday of every month at the Layover (1517 Franklin St., Oakland). At NVR OVR, Aranaydo spins an eclectic sampling of obscure and local hip-hop alongside DJs Neto 187 and Starter Kit. The night doubles as a clothing release party for his brand of the same name. Each month, Aranaydo puts out a new T-shirt, hat, or long-sleeve shirt that combines his bold, architectural NVR OVR logo with humorous pop culture references. 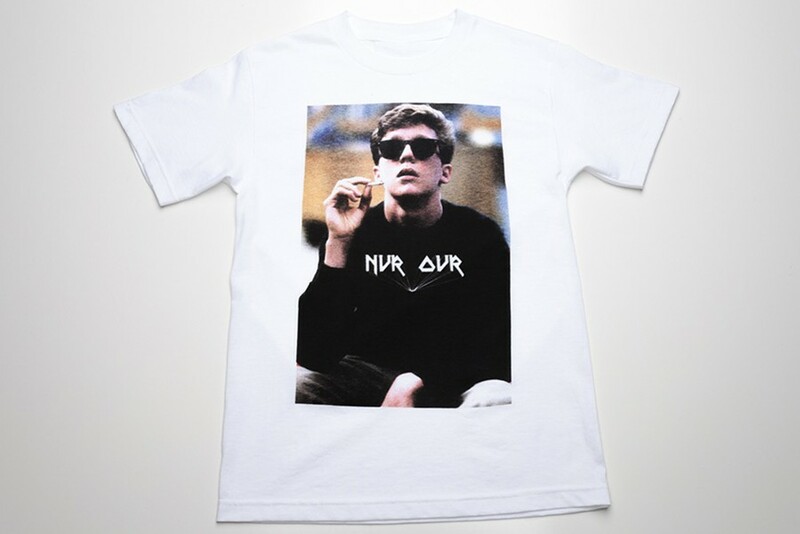 Our favorite pieces in his collection include the white "NVR is OVR — if you want it" long-sleeve shirt inspired by John Lennon and Yoko Ono's famous Bed-In posters, as well as the Breakfast Club-themed tee that features Anthony Michael Hall as a teenage actor smoking a doobie. Richmond rapper Kool John has a knack for viral marketing. 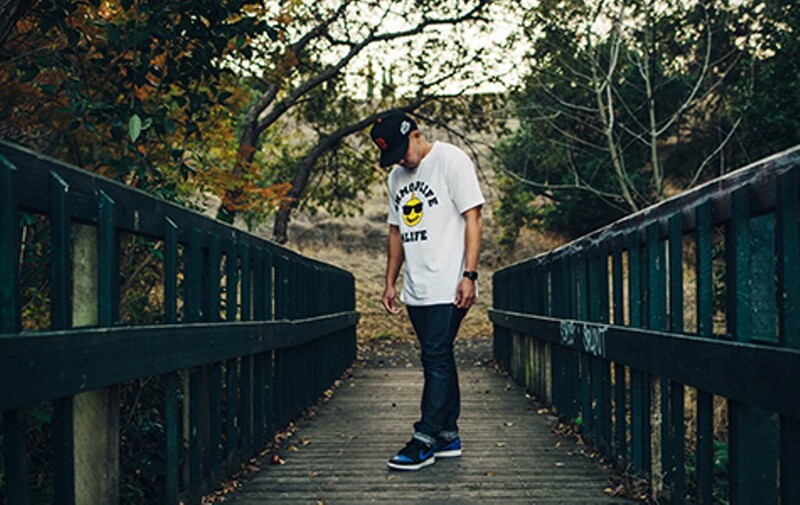 His deceptively simple, sunglasses-clad smiley face logo for his clothing and lifestyle brand, Shmoplife, resonates with the same generation of young East Bay hip-hop fans whose outlook on life has been shaped by local, self-styled rapper-gurus such as Lil B and Kool A.D. Like Lil B's based philosophy, Shmoplife promotes peace, positivity, and respect, except with more of an emphasis on partying. In an interview with the Express, Kool John summed it up as "living every day like it's Saturday night," and his apparel line certainly promotes this fun-loving worldview. Kool John reps Shmoplife throughout all of his projects, such as his mixtapes, Peace, Love, and Shmoplife and Shmop City. Its presence in his work made the idea gain traction among his fans, which has helped his apparel line take off. 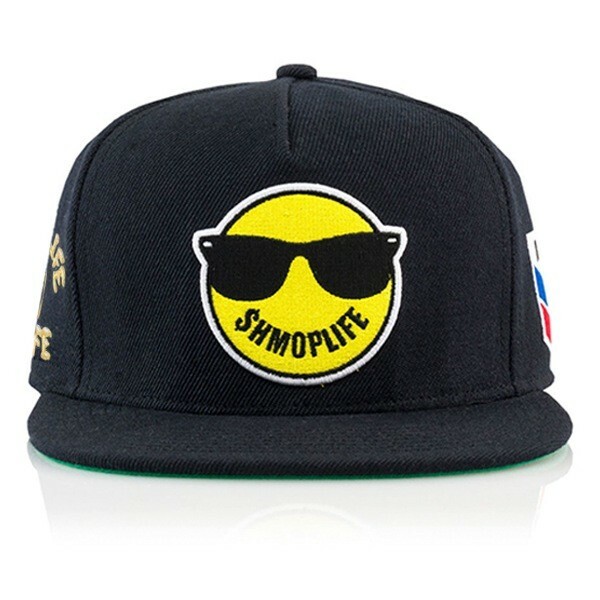 Currently, the Shmoplife gear collection features snapbacks (which Kool John rocks in almost every photo), T-shirts, long-sleeve tees, hoodies, jackets, and even socks. While the smiley logo can be found on most of the pieces, some are more elaborate than others. Our favorite pieces include the socks and hoodie with a speech bubble exclaiming "Yee!," as well as the long-sleeve tee with the phrase "Throw Parties Not Fists." In these uncertain times, those are words to live by. Who wouldn't want to be friends with Kehlani and her girl gang, Tsunami Mob? The Oakland-bred R&B singer's fun-loving crew includes her DJ, Noodles, back-up dancers Efemeh Files and Yanelis Beras, and photographer Bri Alysse. When they're not performing, the endearing bunch seems to spend most of its time together, and Kehlani's Instagram abounds with shots of Tsunami Mob catching flights, going on hikes, and goofing around backstage and in rehearsal. It's evident that the crewmembers not only work hard but play hard, which is what makes them relatable to other squads of confident, self-motivated young people supporting one another's creative endeavors. 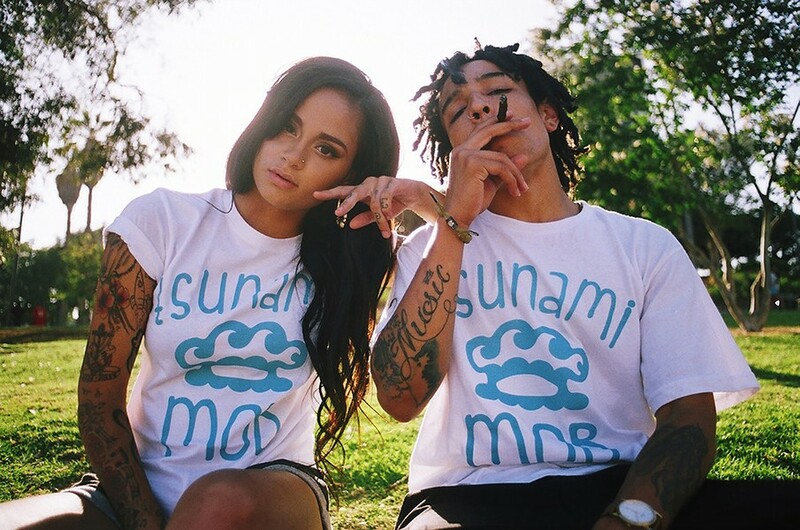 While, unfortunately, not all of us can be part of Kehlani's clique, we can show our support by rocking her Tsunami Mob-themed apparel. Like her album covers, its designs are pastel-hued and dreamy, with organic shapes based on cloud patterns and wave forms. Tsunami Mob's logo resembles a combination of brass knuckles and a wave crest and can be found on T-shirts, hoodies, and even a pair of sterling silver stud earrings. For those who prefer subtler designs with less obvious branding, the You Should Be Here tees, so named after Kehlani's latest album, feature an abstract sunset pattern with luscious, cotton-candy colors. 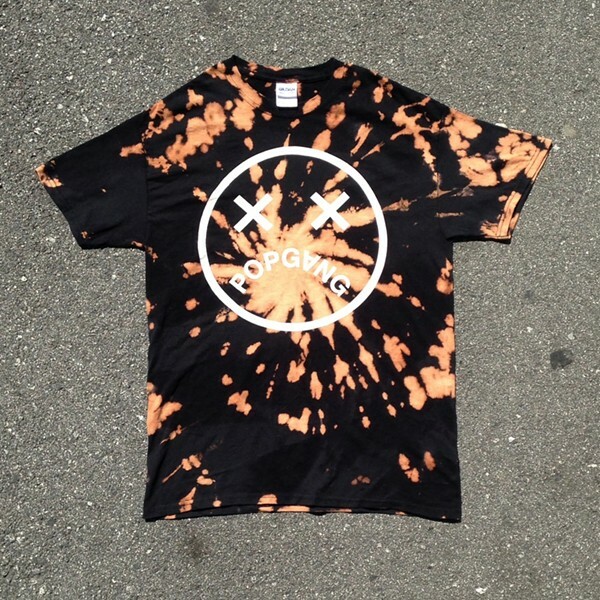 Popgang Records started out as an artist collective but morphed into a record label and party-throwing outfit in 2013. Local musicians Jordan DeHerrera and Chris Sanders — who form the band electropop band MANICS, which is one of the new acts on the label's roster — helm the company and are responsible for several of the most popular free parties on both sides of the bay. Commune Wednesdays at Elbo Room (647 Valencia St., San Francisco) is Popgang's most widely-attended event. Every second Wednesday of the month, the party — which is part of a nationwide anti-smoking campaign — features a different roster of local bands and doubles as a T-shirt release party with new designs debuting every month. Popgang also has several recurring parties at Ruby Room (132 14th St., Oakland). On second Thursdays, it throws 80 Cent 80s Night in collaboration with another promotional outfit, Slime City. Possibly the cheapest way to get drunk in the Bay Area, the party features Eighties music and eighty-cent drink specials. Also taking place at Ruby Room is Popgang's new party on third Saturdays — Rlly Spesh — featuring DeHerrera (who DJs under the name Baby J) and rotating guests spinning regional hip-hop subgenres. Popgang's savvy branding efforts have given the label local notoriety, and its catchy logo has become widely recognized thanks to the company's merchandise. 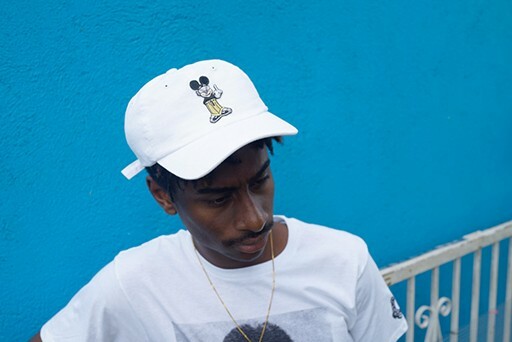 While, so far, the label has only released one-off apparel designs, in 2016, it plans to release its first full-fledged collection that will feature hats and T-shirts with a darker aesthetic. While rapper Antwon is originally from San Jose, he built his following in the lawless milieu of Oakland's warehouse parties, where his sets often incited sweat-drenched mosh pits. While he eventually graduated to legit venues and moved to Los Angeles to pursue his music career, much of his fan base is in the Bay Area.